The Festival de Cannes presented today two films by director making their first appearance in the competition: Stéphane Brizé‘s La Loi du marché and Joachim Trier‘s Louder Than Bombs. 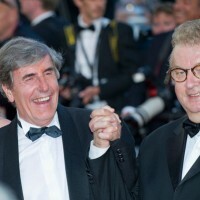 The Festival de Cannes today paid attention to the difficulties experienced by unemployed average French people when searching for another employer in times of crisis like the one France is going through since long. In La Loi du Marché (The Measure of a Man), Stéphane Brizé is exploring the world of low-skilled employment in a sad, uninspired, illustrative movie, resembling a documentary – or a docudrama. A dull dive into the difficult world of people from “la France d’en-bas”, whose fate is often marked by disappointment and dismay. It starts with – we’re in France, don’t we? – a scene where Thierry (Vincent Lindon), a job seeker, whinges and moans and groans and complains about having been badly oriented in the choice of his formation. Then, we follow him through the initiatory steps of his various – sometimes humiliating – “modern” refresher courses to facilitate his reintegration. Bewildered, unshaven, his head down, radiating sadness, the excellent Vincent Lindon looks like a general who’s lost the war when he’s only lost a battle. Long, very long static shots, poor picture, poor lights, rough framing, camera hiding in door corners, everything is done to accentuate the realism of the job seeker’s distress. 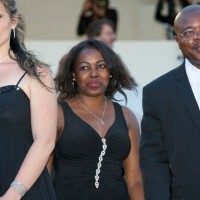 If the film is not a commercial success, it can be recycled on a TV show telling the daily life of supermarket guards. 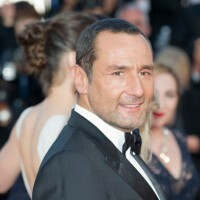 La Loi du Marché in competition at Festival de Cannes is Stéphane Brizé’s first selection in a large Festival. Please, French filmmakers, make me forget the discomfort of the new Grand Auditorium seats after two hours! (Moan and groan and son on). Who can imagine the loneliness of a war photographer? Her shock pictures are illustrating leading newspapers articles worldwide, but the heroin feels alone. With Louder Than Bombs, Joachim Trier focuses on the challenging and exciting profession of war photographer through the feelings of a grieving family as the photographer’s tragic death remains mysterious. The organizers of an upcoming exhibition celebrating the renowned photographer Isabelle Reed (Isabelle Huppert), wish to review her archives. She died in an ordinary traffic accident – after braving a thousand dangers on war scenes abroad. While the exhibition is approaching, an article must disclose that Isabelle was depressed and that the accident was in fact a suicide. The script, co-written by Eskil Vogt and Joachim Trier, mixes flashbacks on Isabelle’s family and professional life, and episodes of everyday life. The husband, Gene (Gabriel Byrne), has difficulty communicating with their son Conrad (Devin Druid) a lonely teenager who immerses himself in video games. Jonah (Jesse Eisenberg), Conrad elder brother, who comes to the family house to store the archives, will serve as a link between them. But he will also discover his mother’s affair with a war journalist. The parts of an intriguing puzzle slowly fit together to draw a different picture of Isabelle. The photographer, addicted to scenes of war, feels out of step with the life that kept going on at home. Moreover, she feels more and more like a intruder in the lives of people she photographs in their most intimate suffering of the loss of loved ones. Would feeling superfluous everywhere, at war and in her family, have led her to depression? The film’s non chronological narration, mixing numerous flashbacks with Conrad’s dreams, dilutes the narrative thread and requires an effort of understanding. The character of rebellious teenager in crisis, who misses his mom and does not like his father to replace her with… his English teacher is kind of “cliché” and Isabelle Huppert plays Isabelle(s) without putting forth too much of an effort. 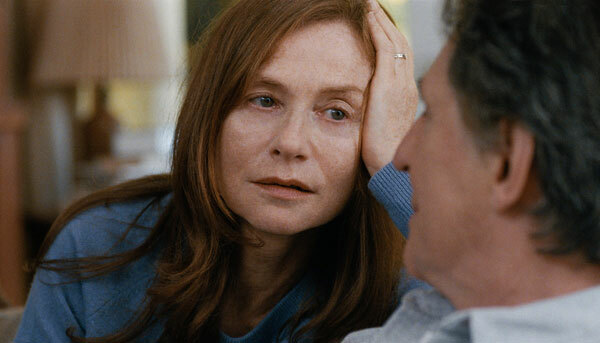 Louder Than Bombs is Joachim Trier’s first selection in the Festival de Cannes Competition.